Applies To: Outlook 2016, Outlook 2013 You can set up your phone with Exchange ActiveSync to access Outlook emails, calendars, contacts, and tasks. But all that information isn't very useful if it's not up to date. Exchange ActiveSync enables your phone to synchronize your Inbox, Calendar, and other items with Exchange Server mailboxes.The following links can help you sync your phone with your Outlook account. If your device type isn't listed below, see the user's guide for your phone, your phone manufacturer's website, or contact your phone’s carrier. You can sync Mail, Contacts, Calendars, Reminders, and Notes. Wondering how your phone and Office 365 can work together? 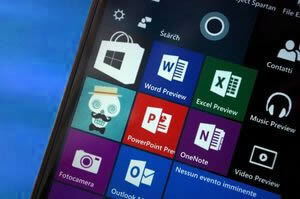 Compare how different mobile devices work with Office 365.